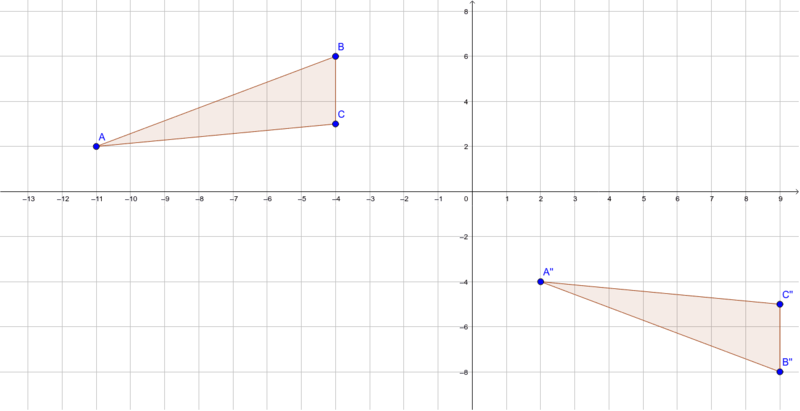 1) What do you notice about the values of the sides and angles of the polygon as it is rotated about the origin? 2) What do you notice about the values of the points of the image and pre-image as the polygon is rotated 90 degrees? 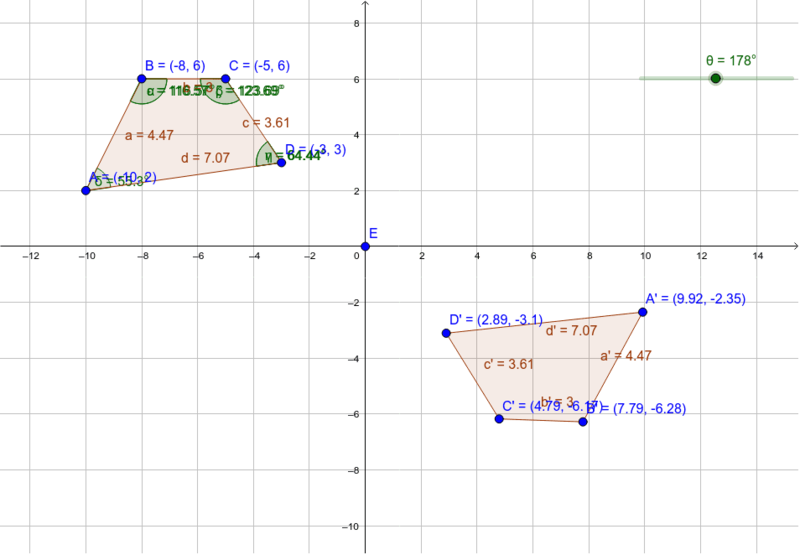 3) What do you notice about the values of the points of the image and pre-image as the polygon is rotated 180 degrees? 1) Predict possible transformations that could be applied in order to arrive at the image.